Miguel Cortes hugs his wife and daughter as they face the choice to separate the family or become fugitives. The documentary "120 Days" turns a spotlight on the story of the Cortes family while the father, Miguel, decides whether to voluntarily return to Mexico — with a court's offer that he has 120 days to get his affairs in order — or face deportation and the splitting apart of his family. More than 8,000 gathered for the Parliament of the World’s Religions, which ended Monday in Salt Lake City. This is the first parliament since 2009 and the first in the United States since 1993. 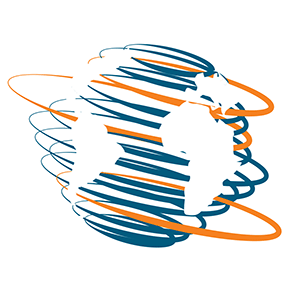 The international organization is dedicated to promoting interfaith dialogue and action for the betterment of global society. Workshop intern Ashley Campbell, a former employee of the organization, is now studying journalism at the School of Communication and filed this blog post. SALT LAKE CITY — Can social media be used to combat hate speech — or does it foster it? 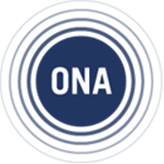 Although I have been to journalism conferences before, the Online News Association (ONA) was unique. I admit I knew very little about ONA before applying and being accepted as a fellow from one of the country's Historically Black Colleges and Universities (HBCU). Glynn Hill, an amazing reporter from my school, Howard University, was a fellowship recipient the year before, so I knew it would be a great opportunity. Plus it was in Los Angeles, and I had never been anywhere west of my native Texas. The first Investigative Film Festival in Washington highlighted a showing of "1971," a movie about the break-in more than 40 years ago of an FBI office in Pennsylvania, which led to leaks that exposed the agency's surveillance of ordinary citizens. That burglary echoed the recent release by Edward Snowden of the NSA's secret surveillance of U.S. citizens. The Ninth Global Investigative Journalism Conference, which brought together about 900 journalists from more than 120 countries, ended this weekend. While the gathering had the largest representation by countries, its importance will be measured by what happens afterward. The 2015 Global Shining Light winners were named Saturday at the 9th Global Investigative Journalism Conference in in Lillehammer, Norway. The co-winners, Unholy Alliances and Empire of Ashes, were selected out of 76 submissions from 34 countries. Unholy Alliances exposed corruption surrounding Montenegro’s Prime Minister Milo Djukanovic and his ties with organized crime. It was produced by The Organized Crime and Corruption Reporting Project (OCCRP), a not-for-profit, joint program of a number of regional nonprofit investigative centers and for profit independent media stretching from Eastern Europe to Central Asia. More than 1,000 journalists from 120 countries are expected to attend the Global Investigative Journalism Conference in Lillehammer, Norway, from Oct. 7-11, including the Workshop's Chuck Lewis and David Donald, who will moderate panels and teach. 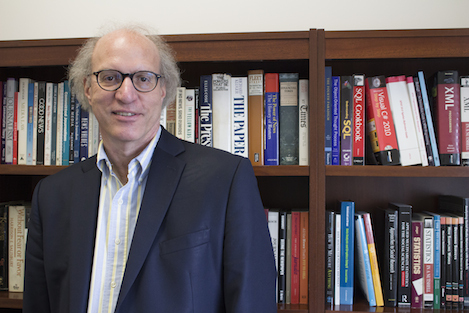 Lewis will present an academic paper, "Accountability Information Across Borders," and speak on and moderate two panels: Sustaining High Quality Journalism and Studies of Cross-Border Investigations. He also will interview many veteran journalists from throughout the world as part of his research for his Visiting Fellowship at Oxford University's Reuters Institute for the Study of Journalism. David Donald will lead data training sessions at the global conference in Norway this week. At the Global Investigative Journalism Conference, I'll be doing a series of hands-on data journalism sessions called "Stats for Stories." The idea is to take data journalists already comfortable in basic data analysis and advance their skills — and hence — insight into their data through the use of inferential statistics. I'll co-lead this series with Andy Lehren from The New York Times. 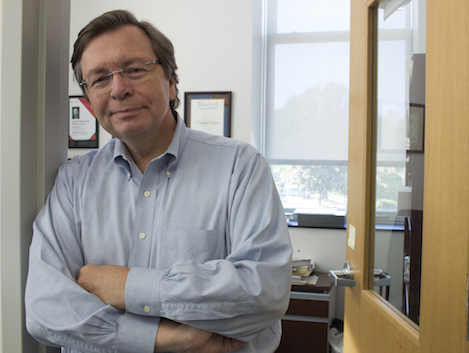 Executive Editor Chuck Lewis will research accountability studies while on a fellowship at the Reuters Institute at Oxford.